Here at Excelsior, we offer our customers a comprehensive rotomoulding service, taking an idea and guiding it neatly from rough concept to completed creation. Whatever you’re looking to manufacture, our CAD and product team can help – read on to find out how. CAD stands for ‘computer-aided design’ and means exactly that – we use computer systems to help us design, create, modify and optimise the plastic products our customers want to manufacture. Designing and tweaking plastic products in a virtual space before beginning the manufacturing process enables us to offer our customers better results first time, every time. 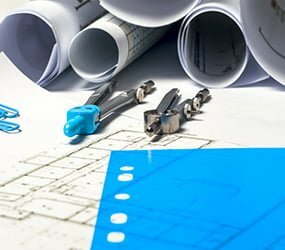 What are the benefits of CAD? As rotomoulding specialists, we understand what our customers are looking for when they come to us for bespoke plastic products. We used computer-aided design to help us achieve the best results for you every time. Don’t make the mistake of thinking that CAD is just about a picture on a screen, either. Using complex algorithms, our CAD service enables us to predict how a product will perform under certain conditions, so you can tailor the product – and its intended applications – to be a perfect match. Excelsior are experts in plastic products – we’re rotomoulding specialists and there’s not much we haven’t seen over the years. We’ve helped to design and manufacture products large and small, both one-offs and large production runs, so it’s safe to say that – whatever you need help with – we’re a good bet. If you need help in the design and concept stages of your plastic products, our contract rotomoulding team is on hand to advise. With years of experience and a large team of knowledgeable staff on hand, we can offer you a comprehensive service that begins with computer-aided design technology and finishes with plastic products that exceed your expectations. Plastic products vary hugely in complexity, and our CAD processes and product design expertise will help you to create an item that looks and performs just as it should. No matter how complicated your design, our contract rotomoulding team can help. For more in-depth and time-consuming design processes, an additional fee may apply, but this will be discussed at the start of a project so you can make the right choice for your business. Our priority will always be to provide you with superior quality, custom-made plastic products, and outstanding service every time. Find out more about our CAD service, take a look at our contract rotomoulding service or contact us for more info.